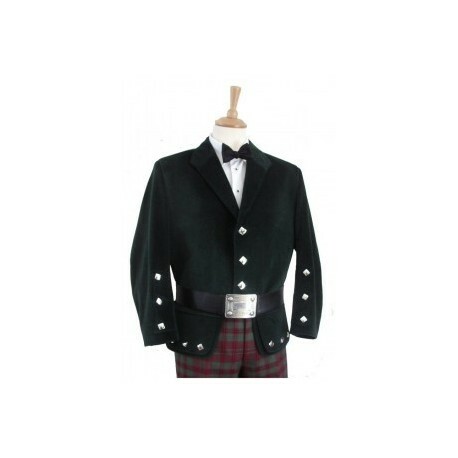 The Balmoral Kilt Doublet is suitable for formal evening events, both black tie and white tie. It is traditionally made from Velvet, but is now also made in Barathea Wool. The Balmoral Doublet is a "single breasted" jacket, generally worn buttoned up and without a waistcoat. It is usually worn with a belt, and black bow tie (as shown but these items are not included). Shown here in green velvet. 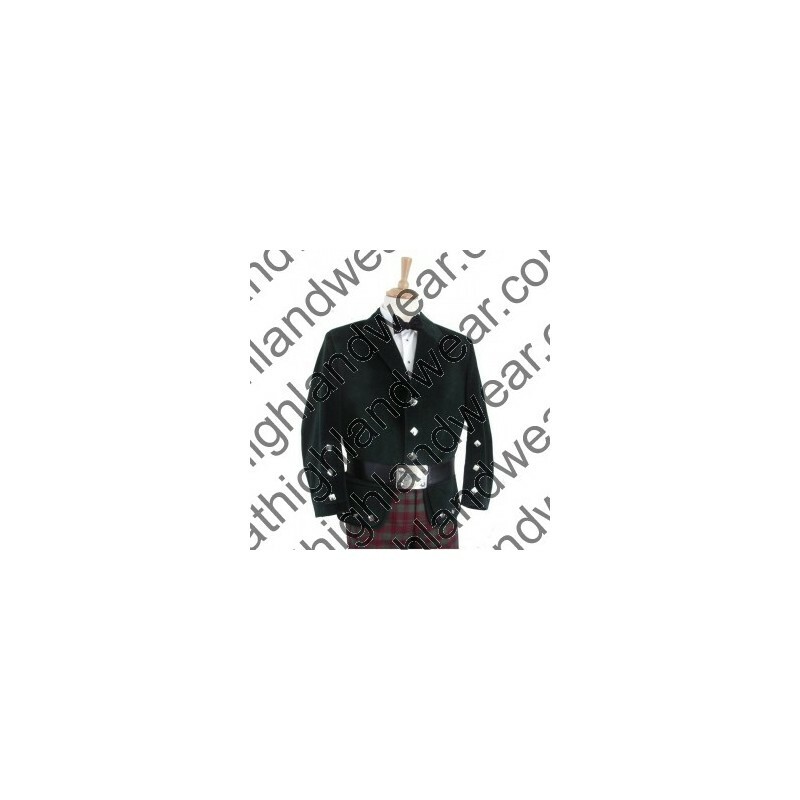 It can be worn less formally unbuttoned - in this case the belt would be worn round the kilt (under the jacket). Available in Velvet or Barathea.